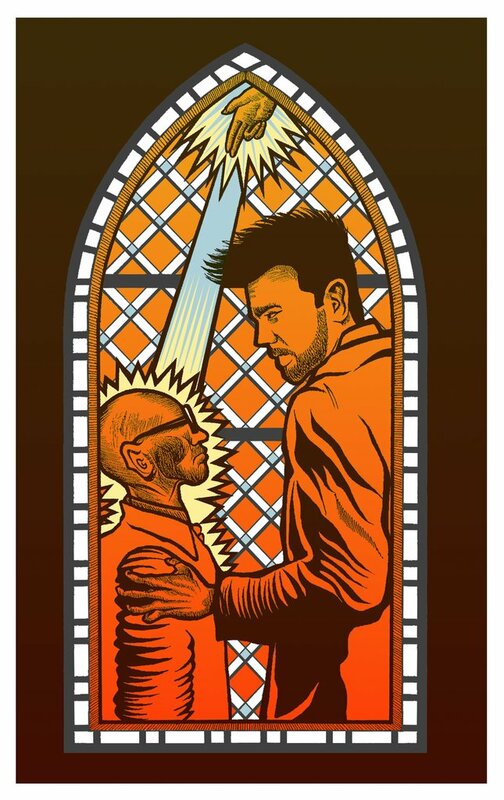 After the airing of last week’s new episode of Preacher on AMC, Gallery 1988 released the fourth print in its new Preacher Screen Print Series celebrating each new episode of the show. Inspired by the fourth episode of Preacher Season 1 “Monster Swamp”, Gallery 1988 has released this Episode 4 screen print by B. Methe! This television show screen print measures 15”x24” and is limited to just 150 pieces, with only 100 pieces available for purchase. Collectors can purchase this officially licensed Preacher print now at PreacherPrints.com for just $35. For the past 4 months, G1988 has been working with the creators and writers of Preacher to hand select their favorite scenes and imagery from upcoming episodes. Gallery 1988 then teamed up with some of their favorite artists to create screen prints inspired by those specific script pages. In many of the cases, the scenes hadn’t even been filmed yet, creating a very unique, and unprecedented, collaboration. Each piece in the new Preacher Screen Print Series will debut right after the first airing of a new episode at 11pm EST / 8pmM PST on PreacherPrints.com.